Therefore a small bookshelf of NDEs is now becoming a library. Recollections from every country, culture, language and age group now reside in the great internet cloud. A mountain of data, which can no longer be wished away or ignored. The parallels and common themes from all corners of the world preclude everyone’s account to be merely mass hysteria. NDEs aren’t in the territory of alien encounters. Doctors, lawyers, professors, engineers, sales and service people are reporting in. Telling us similar refrains, with the added mystery of some NDEs where the person eithers saw or is told of events that they could not have possibly known in their current state. Taken as a whole, the only conclusion is that something must be happening, beyond our comprehension. Learn what is actually occurring during NDEs and for what purpose. 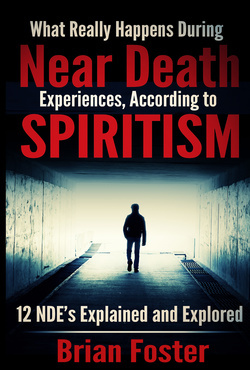 This book provides the context, the stage on which NDEs take place. What people recollect is only half the story. It is important for you to learn the other half.